But the solution is far more complex than a recent comment piece ‘Why more buildings should be made of wood’, republished in the National Business Review from The Economist, would have us believe. The issue of wood versus steel (and other building materials) in enabling a transition to a low-carbon and sustainable future begs broader investigation than The Economist’s once-over-lightly take. (CLT) and other wood products, in the external walls of residential buildings higher than 18 metres. And for good reason. Whilst it’s true, as the article states, that small scale tests have shown CLT performs well in fires, due to high charring rates. In recent research out of the United Kingdom, CLT performs very differently in real fires. The glue layer can fail in a real fire, and so layers can detach and change the charring rate and can contribute more fuel to the fire. There’s no doubt engineered wood such as CLT has excellent strength and seismic resilience attributes, and in tree form acts as a carbon sink and fits nicely into New Zealand’s reforestation programme – and that’s tended to imply that steel is the bad guy. 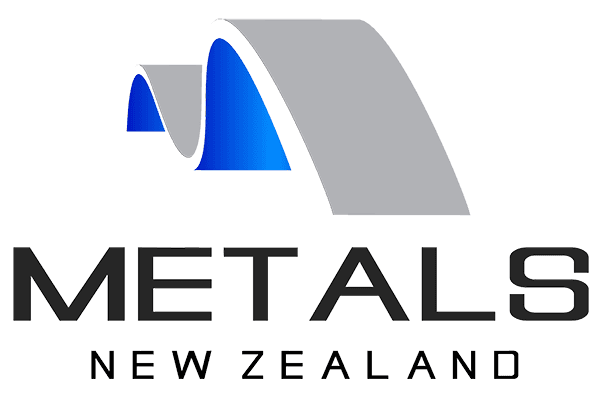 When in fact, steel is critical to New Zealand society and economy and has an important role to play in our transition to a low-carbon and climate resilient future. In our seismically vulnerable environment, steel is key to our ability to survive and continue to function beyond major earthquakes; whether it is providing a resilient structural steel core, reinforcing concrete or providing a durable light-weight cladding system, quality steel design protects us from the impacts of natural disaster. Steel is omnipresent in our daily lives. From the coffee machine and kettle, to the bike you ride to work, to the roof over your home, and so much more. It’s an essential technology to New Zealand’s way of life and to its thriving economy. While steel is a CO2 and energy intensive industry, it contributes to just 2.2% of New Zealand’s total CO2 emissions, much lower than other industries. And it enables major CO2 mitigation in other sectors, a core part of geothermal, hydro, large-scale solar, and wind energy solutions, as well as recycling plant and equipment. Without steel, none of these would be as efficient or sustainable. Then there is the role of steel in the ‘circular’ economy, in which products are kept in the economy for as long as possible through remanufacturing, refurbishment, repair and direct reuse – as compared to the linear economy where products are made, consumed and discarded. Commission’s “Closing the loop – An EU action plan for Circular Economy” is developing strategies to implement circular economy principles at a materials and sector level. Indeed, adopting “value-retention processes” like reuse and refurbishment, could reduce greenhouse gas emissions in some manufacturing sectors by 79 to 99 per cent, according to the United Nations Environment Programme’s recently released report “Re-defining Value – The Manufacturing Revolution. Remanufacturing, Refurbishment, Repair and Direct Reuse in the Circular Economy”. Steel is recognised as one of the most ‘circular’ materials, due to its infinitely recyclable properties as well as the fact that it can be easily reused and remanufactured. For example, steel construction beams from an existing building can be reused in a new building. And there is huge potential for the remanufacturing of steel from consumer goods where ‘circular design’ thinking incorporates downstream incentivises disassembly and repurposing. In New Zealand, a circular economy in which steel plays a role can support our low-carbon future encompassing all aspects of resource efficiency from production to consumption. So, should we dive headlong into wood for our buildings to reduce pollution and slow global warming, driven by government procurement policies? Or, should we take the advice of the UNEP to adopt ‘value-retention’ processes “as a win-win situation for governments, industry and customers”. Governments would have less waste to deal with, generate green jobs, and stimulate economic growth; industry could lower production cost, avoid resource constraints on business growth, and open new market segments; and customers could benefit from lower prices for refurbished products as well as being repair existing ones. Steel is all around us every moment of the day, safely supporting and propelling from that first cup of coffee, our daily commute and the bridges and tunnels we pass through to the buildings we live and work in. New Zealand must continue to innovate and invest in infrastructure that is durable and sustainable and has circular thinking at its heart. Steel plays a key part in our future and whilst there are challenges to overcome with the carbon footprint – the industry has come a long way already and are committed to playing its part in a low-carbon and circular economy.